The Chumph is an Illegitimate POS, who should be tried for Treason, and if convicted…Hung. Just like Saddam Hussein. What we need to do with our traitor… After a fair trial and conviction, of course. A new poll says that the majority of Americans between the ages of 18 and 30 view Donald Trump as an “illegitimate president,” according to TheHill.com. “The GenForward poll reported by The Associated Press found that 57 percent of young adults see Trump’s presidency as illegitimate, including three-quarters of black respondents and large majorities of Latinos and Asians,” wrote Brooke Seipel on Saturday. The poll showed that 53 percent of white young American adults feel that Trump occupies the Oval Office legitimately, but 55 percent of those respondents rated his job performance negatively. A meager 22 percent of young adults approve of the president’s job performance with 62 percent disapproving. The poll included 1,833 respondents queried between Feb. 16 and Mar. 6. It was conducted by the Black Youth Project at the University of Chicago in collaboration with The Associated Press-NORC Center for Public Affairs Research. Polls show that many millennials are more progressive than their parents’ generation and identify as liberal much more readily than Americans over 40. 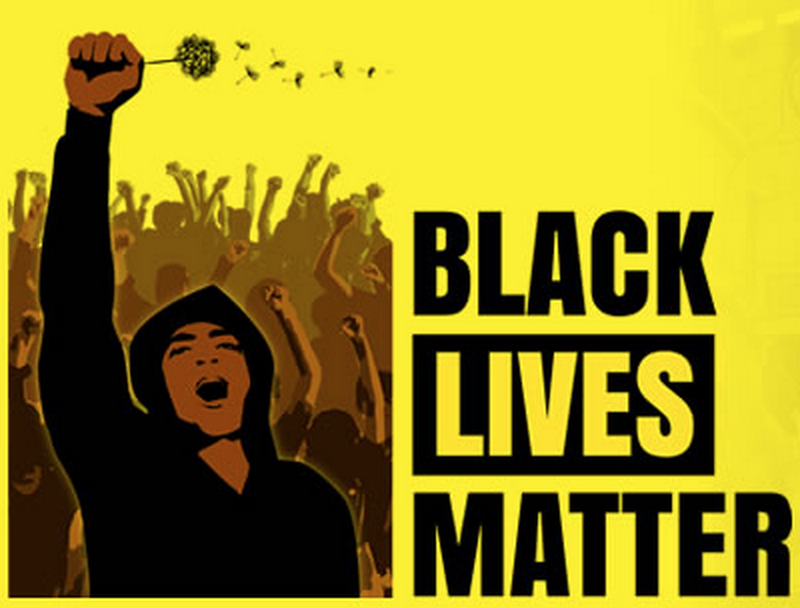 Last week, a California judge sentenced Jasmine Richards, a 28-year-old Black Lives Matter activist to 90 days in jail for lynching, defined in California as “the taking by means of a riot of another person from the lawful custody of a police officer”, reports Vox. 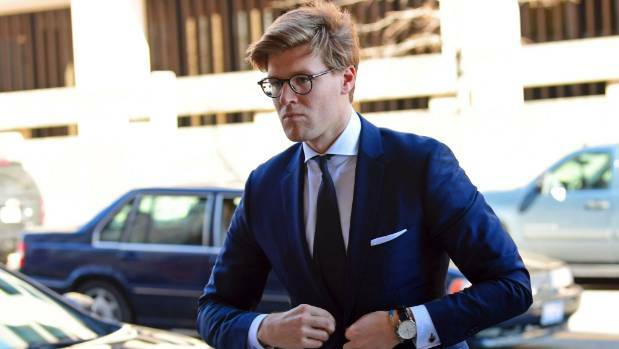 The conviction stems from an incident that took place last August, in which police were called because a Black woman had been accused of exiting a restaurant without paying. As police attempted to arrest the woman, Richards, who was nearby at a Black Lives Matter protest, approached the officers. Video shows Richards standing by the woman, but police claim she was trying to pull her away. Richards was arrested and charged with delaying and obstructing peace officers, inciting a riot, child endangerment and lynching. Though other African-Americans in the state have been charged with lynching, Richards is the first to be convicted. Lawyers for Richards say that this is an attempt at silencing the activist. 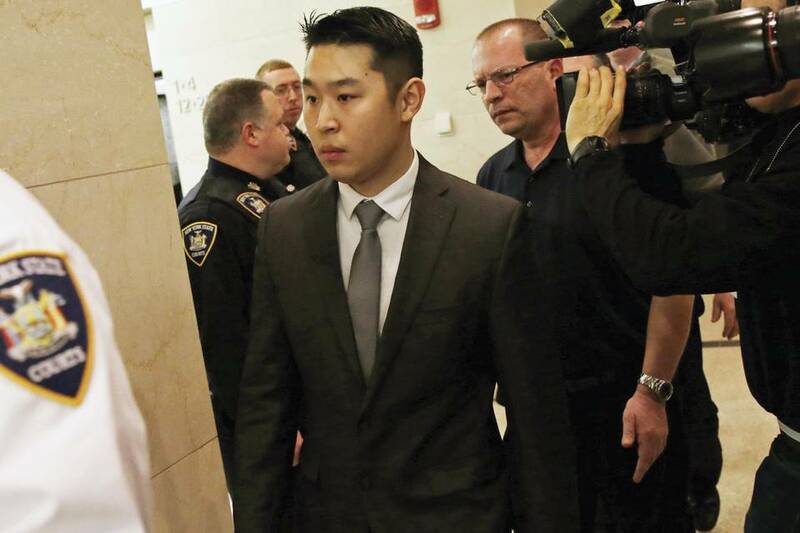 Peter Liang about 2 moths ago became the first NYC Law enforcement officer to be convicted of murdering an unarmed citizen in 10 years…Despite numerous egregious cases of police misconduct and outright murder in NYC – was Liang’s prosecution and conviction based on just timing, or race? NYC Police and Fire Unions have a long, long, history of racism. Such racism is even reported by Officers on the force. Funny how only a minority cop can get convicted and go to a speedy trial without the Police Department “analyzing” the data for 2 years. Why Was Peter Liang One of So Few Cops Convicted for Killing an Unarmed Man? The case adds another twist to the intense debate about race and policing. On February 11, Peter Liang became a rare statistic: He was the first New York City police officer in more than a decade to be found guilty of shooting and killing a citizen while on duty. Liang, who is Chinese American, was convicted of second-degree manslaughter and one count of official misconduct for the shooting of Akai Gurley, a 28-year-old black man and father, during an encounter in a Brooklyn housing project. In the post-Ferguson era, the case has added another twist to the intense ongoing debate about race and accountability in policing. In the aftermath, New York Police commissioner William Bratton told reporters that the shooting appeared “to be an accidental discharge, with no intention to strike anybody.” But during the trial, prosecutors zeroed in on evidence that Liang failed to administer immediate medical aid as Gurley lay bleeding to death, instead arguing with his partner over whether to call their supervisor. Gurley’s friend attempted to give him CPR after receiving instructions from a 911 dispatcher. Liang testified that he tried to request an ambulance over the radio. Transcripts from radio calls, however, did not show him calling for one. Liang, whose sentencing is scheduled for April 14, was fired from the department and initially faced up to 15 years in prison. In late March, however, Brooklyn District Attorney Ken Thompson announced that he would not seek prison time for Liang. Thompson instead recommended five years of probation, including six months of home confinement, citing “the unique circumstances” of the case. On Tuesday, Liang’s lawyers asked a judge to throw out Liang’s conviction, alleging jury misconduct. The protesters who took to the streets on Saturday are trying, in their way, to create a new political language for Asian Americans, but this language comes without any edifying history—no amount of nuance or qualification or appeal to Martin Luther King will change the fact that the first massive, nationwide Asian American protest in years was held in defense of a police officer who shot and killed an innocent black man….And yet it would be catastrophic to ignore the protesters’ concerns altogether. The NYC Prosecutors finally convict a cop…Of course the convicted cop is a minority, which unfortunately may have something to do with the willingness to prosecute. A Brooklyn jury convicts Officer Peter Liang of manslaughter and official misconduct in the 2014 shooting. A New York jury found an officer guilty on Thursday for the 2014 shooting and death of Akai Gurley, an unarmed black man killed in the stairwell of a Brooklyn apartment building. The Brooklyn Supreme Court found Officer Peter Liang guilty of manslaughter and official misconduct, for shooting, then failing to help Gurley after he lay dying. Liang had faced five counts in all, including assault, reckless endangerment, and criminal negligent homicide. The trial went to jury Tuesday. At closing arguments, Liang’s lawyers asked the judge to declare a mistrial, saying the prosecution made an “inflammatory and inappropriate” argument when they said Liang intentionally shot Gurley. The defense had argued that unholstering the gun––despite no obvious threat––fell in line with protocol, because the building was known to be dangerous. They said as he entered, Liang held his finger off the trigger, just as he was supposed to. Just before Liang fired, Gurley and his girlfriend, Melissa Butler, had walked into the stairwell one floor below. The elevator was out. As Liang’s gun fired, the bullet hit Gurley in the chest. Liang said he wasn’t immediately aware of this. Not yet. While Butler screamed and ran to find help and a phone, Liang and his partner, Shaun Landau, walked back into the hallway they’d come from and debated who would call in to report that Liang had fired his gun. It was only after Liang went to search for his bullet that he heard someone crying, he said. It was then he he realized what had happened. Liang will be sentenced on April 14. He faces 15 years in prison.